This will be a very short update...Only 5 people left in the house means not much happening even on the most happening of nights and I suspect this will most likely be one of the last few updates you'll get out of me, depending on feed outages and show recaps from Scott. The end of tonight's Big Brother broadcast saw the house evict Julia over Liz. The show ended with the house guests competing in the HOH competition that involved moving a golden egg from one side of a rounded cage to another side through a chicken wire fence and placing it a holder. There was a spot for a luxury item win as well. Liz ended up falling far enough behind that she finally decided to go for the luxury win. She won a 'once in a life time' trip outside of the house. I don't know any other details beyond that. She almost immediately went into her victim/crying, interrogation/questioning/dealing mode and began making the rounds. I have to say...yes, Vanessa makes my brain bleed. She's annoying, she over uses phrases and uses words incorrectly (I swear if I NEVER hear the words 'incentive' or 'incentivized' again it will be too soon! ), she cries and plays victim a bit too much for my taste BUT...as feedsters we don't always know what she's thinking and/or what she's doing and although it's exhausting keeping up with her, at least she keeps us spinning in terms of what she's going to do. Initially, as she made her rounds, it seemed as though she was going to put forth an effort to 'find a reason' (as she so likes to do) to target Liztin. She was definitely hemming and hawing during an early conversation with Austin and was being very non-committal. In one conversation with JohnnyMac, he told her about a deal he made with Austin at her suggestion, but she claimed she didn't recall telling him to do so. Jmac also told Vanessa that of course he's going to take her to final two; according to how he's playing to Vanessa, she's the only one he could beat because every one in jury hates her. She then went on to have an extended conversation with Austin. If (and of course, this is a big if because it's Vanessa and she definitely changes her mind more than she changes those damn beanie hats of hers!) Steve or Jmac find themselves on the block this week, I have to say it's their own fault. At no point during this long conversation did either of those two even attempt to break up what they had to know was game talk between Vanessa and Austin. Austin was basically selling his soul to Vanessa in order to not be nominated. He swore he'd throw POV, he promised even if Liz was up and he did win it he wouldn't use it on her [Liz], he promised he'd vote whichever way she wanted. Vanessa gave out some strong hints that she might need him to vote out Liz and Austin didn't say he wouldn't. It was interesting and I think part of Austin's pleading did get to Vanessa. She is saying things like "America will think I'm stupid if I don't nominate the couple." but tempering it with "I like you guys better." Austin is trying to play it off like Steve and JohnnyMac are a couple (in terms of being a solid duo alliance) as well and that America wouldn't hate her because they've been working together since the beginning. I missed a few conversations as I took a break to watch the west coast airing of the episode and eat delicious homemade, hand cut fries. Seriously, they were fantastic. ;) Anyways, when I returned to the feeds, HOH room reveal had happened. Vanessa got some sort of nonsensical letter from some sort of nonsensical friend, along with a few photos. She told a story about her and Mel (her girlfriend in case you didn't know) going to some club where there was a stripper pole; she danced on it and could actually pull a few moves on it. Who knew? Everyone but Austin ended up leaving the HOH room in a very short time frame compared to how they lingered earlier in the season. The evening then wound down significantly. Vanessa got called to DR, Jmac went to bed (yes, I still like him but he's officially taken over Meg's position for most time spent in bed. GET THE HELL UP DUDE!!) Liz unpacked while Steve chatted with her and Austin made over cooked scrambled eggs for them [Liz and himself]. Steve also spent some time counting things and studying to himself while pacing around the house. As I write this, Vanessa is still in the DR, Austin and Liz have retreated to the purple room bed; Jmac, having gotten up for a bit, also returned to bed in the comic room and Steve is currently scampering around the house waiting for Vanessa. He really, really wants to talk with her before going to bed. He's making me twitchy just watching him so I won't be staying up to see how that conversation plays out. In any event, the next few days will be interesting I'm sure, but I don't think we'll be getting to see much of it. Scott has written a helpful post detailing how CBS handles the last couple of weeks in terms of episodes, competitions, time lines etc that you should read if you're not familiar with the usual practices. CBS rarely deviates from the norm (though we can always hope! lol) so I'm sure things will be very close to Scott's out line. One important thing to note: feeds are going to be down quite a bit over the next few days. 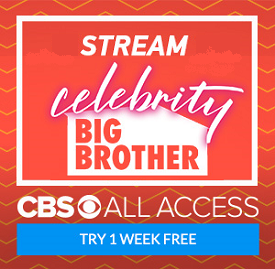 There's a banner up on the CBS feeds page indicating that the feeds will be down basically all day tomorrow (9:45 am to 11:30 pm) so we most likely won't get to see the nomination fall out. I've no idea why this black out is happening; my own personal guess is that perhaps the trip Liz won will take place but I don't know for sure. Typically nominations take place on Fridays later in the day but if it is the trip, who knows. Then we will most likely see the feed black out Scott mentions in his post I linked to above as well. These blackouts combined with my schedule probably means I won't do another update until Sunday regarding nominations and then again perhaps on Wednesday once the fall out of those episodes takes place and we seen the HOH competition. As for me, feel free to follow me on twitter @Shienara33 where I tweet about Big Brother, french fries and other riveting things from my exciting life! haha ;) G'nite for now!